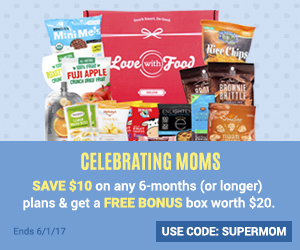 If you sign up with foodiepages using my referral link you will get a $10 coupon to use for your first purchase! The Tasting Box combines two of my favourite things, Food and Subscription Boxes!. I have been wanting to try a Tasting Box from Foodiepages for many many many months, but there has always been one or two items in there (like pickled beets) that, while might be fantastic, I know I would never use so I end up not getting the box. When I saw I liked the sound of everything that was in the January 2015 box I had to try it out. There are only a small number of boxes each month so set your alarm if you are interested. The next box goes on Sale at 12pm EST on February 3rd. I love hot sauce and this hot sauce was yummy. It’s made with Jalapenos so it isn’t overly spicy and it’s not too vinegary. It’s got a delicious flavour that I really enjoyed. Andy the Butcher has a few different flavours of hot sauce available and I’d like to try all of them. This was my favourite item in the box. I try to keep my 18 month old away from refined sugar as much as I can and these energy bites had none in it. He loved them. I might have to repurchase these. 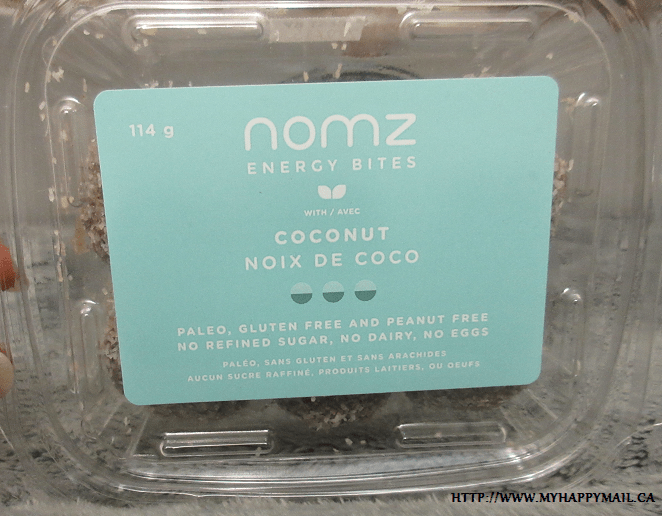 I didn’t like the coconut flakes that covered the bites I just don’t like that texture in my mouth, aside from that these were very tasty. 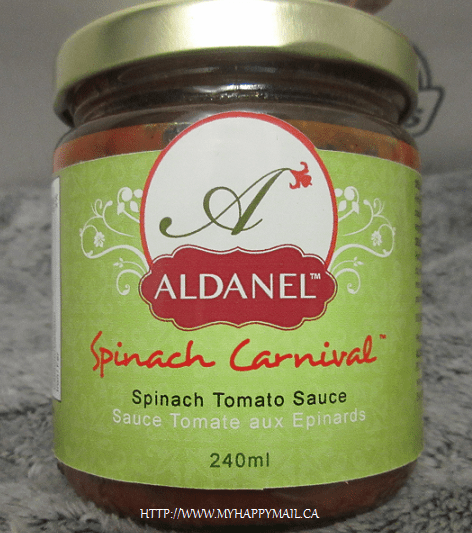 I got Tomato Spinach Carnival Sauce and it was delicious. I tried this on crackers and some with french fries. The sauce isn’t too sweet like some tomato sauces are. I enjoyed the sauce and can see a multitude of ways to use it. I’ll be honest I didn’t think I’d like this bar. Glad to say I was wrong about that, it was pretty good. I shared this bar with my husband and we both enjoyed it. I am not a granola fan so my opinion is already a bit biased. The card says that this granola is an explosion of sweet and savoury flavours. I didn’t get that explosion of tastes when i tried it though. 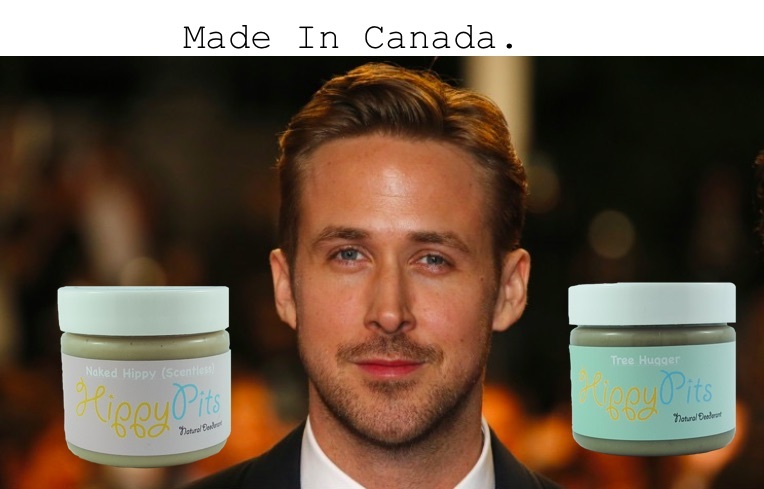 Not my favourite item. This was my first tasting box and I really enjoyed it!. The contents of the box is always posted ahead of time so you can decide if you’d like to purchase one beforehand. If you would like to sign up with them now, you’ll be notified by email once the next boxes become available. 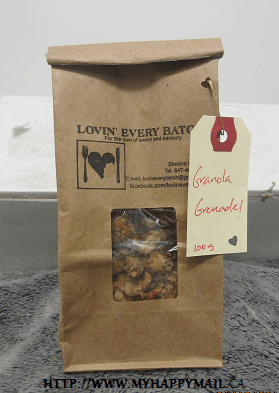 Lovin’ Every Batch here, sorry to hear you didn’t enjoy the Granola Grenade! Thanks for your feedback it’s always appreciated.